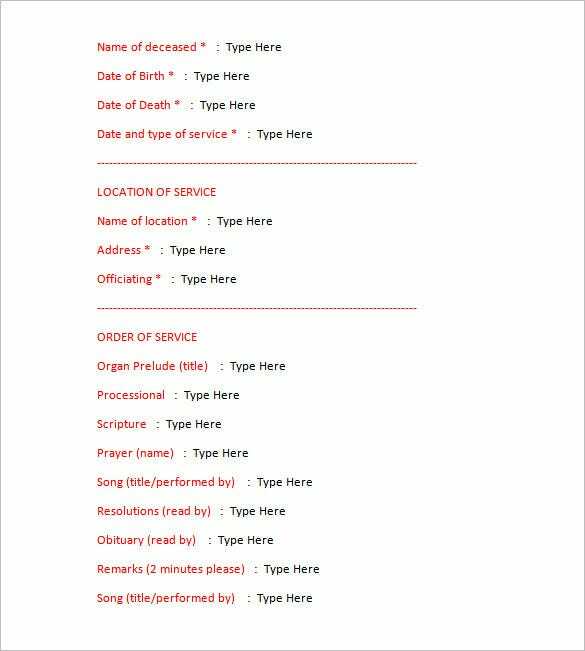 When a place in your heart is emptied by the departure of your loved ones grief envelopes your surroundings. 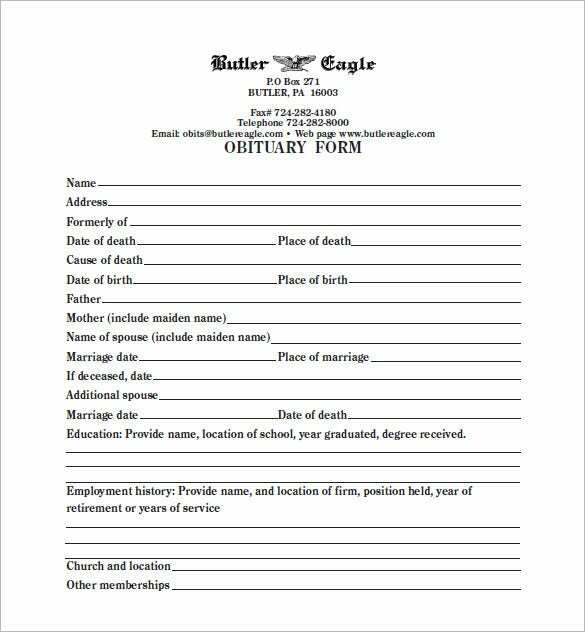 In such a situation taking a pen and writing down your thoughts and regards for the departed soul is excruciating. 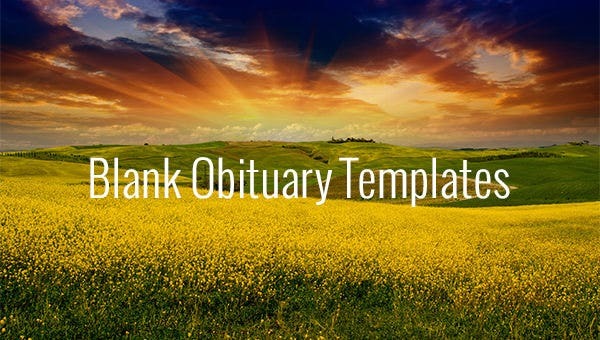 The free obituary templates are here to make your job easier. 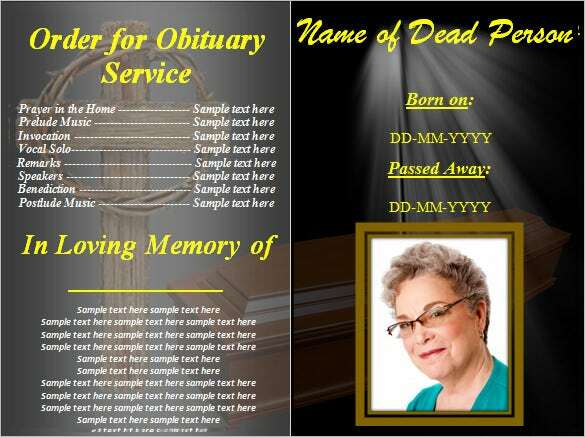 These Obituary templates will create the outline into which you can give your thoughts a space. 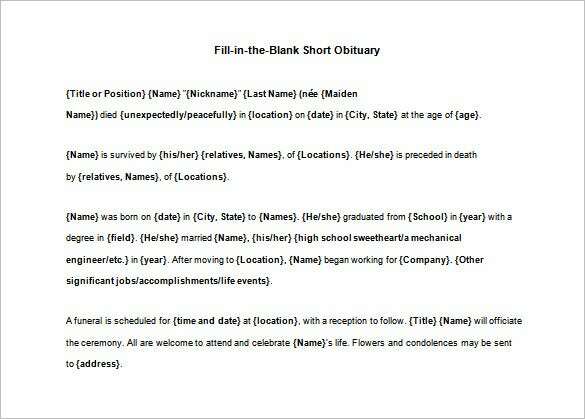 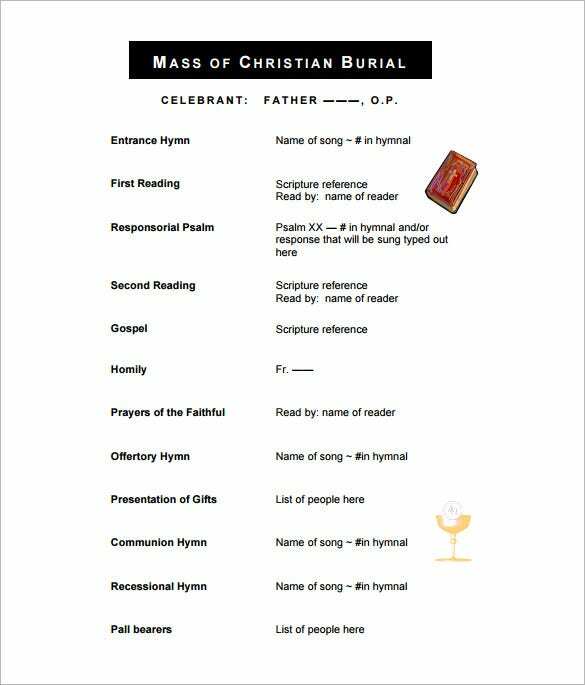 These blank templates for writing eulogies are specially crafted with various designs and come in several forms. 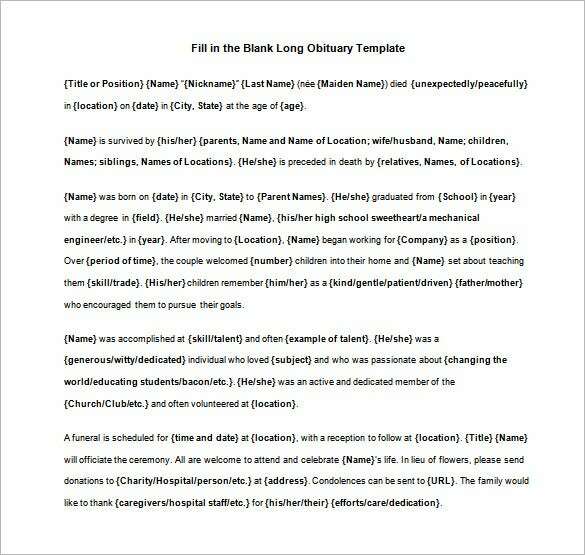 Download them for free and print them easily to eliminate a bit of trouble in such an emotional crisis.